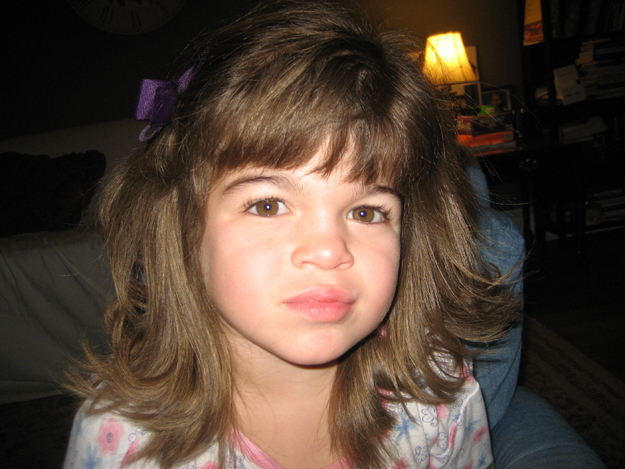 On February 3rd, 2005 my then 4 ½ year old daughter, Grace was diagnosed with a rare genetic disease called Sanfilippo Syndrome, which is also called MPSIII. 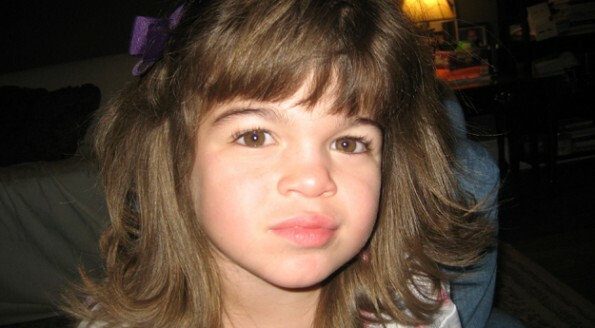 Sanfilippo Syndrome is a condition that is due to a missing enzyme. Instead of cells being regenerated, they are stored in the body. This build up causes progressive and degenerative damage to the brain and the central nervous system. There is currently no treatment or cure available. It is like Alzheimer’s in children as they slowly regress and pass away somewhere between the ages of 10 and 30. The first thought I had after hearing the unbearable news was there goes this life it’s over. I thought “How could I ever sit by and watch this sweet, adorable, wonderful child get sick and die? My sweet baby Grace my angel!!! I have never even remotely considered suicide, but at that moment I couldn’t help but think of any alternative that could take me away from the hell I was experiencing and the hell I knew I’d have to experience for years to come. As excruciating and intense as the pain was, it actually got worse when I realized, I can’t escape this!! I have Julia (my other daughter who is 2 years older than Grace). 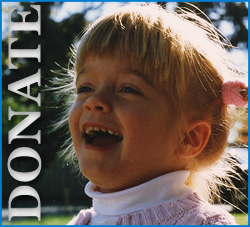 My family needs me! As petrified as I was, I knew that I had to some how get through it for them. Grace has cognitive issues so was (and still is) completely unaware of what’s going on and Julia is a very bright, vibrant, healthy child. How was I going to be the exceptional parent I had planned to be to these children who had needs that were so radically different? How could I ever communicate to Julia that she was going to lose her sister? Would I be living in darkness and fear every day for the rest of my life? I was a changed person and I couldn’t believe that God must just not have loved me anymore. What did I do to deserve this? Would I ever smile again? – Me, the one that was voted most cheerful in high school, the person who was always full of optimism and hope. It was all gone, in an instant. I don’t know what carried me through those horrific days when I walked in and out of hospitals and doctor’s offices, Grace in her stroller contently cuddled in her soft blankets completely unaware of what was going on. My insides all knotted up with uncertainty and fear. Sometimes at night, I would sit next to her bed and just listen to her breathing. In her presence, I felt safer. She had an innate wisdom that was unexplainable, profound, and comfortably real. Grace has never put two words together with her voice but her eyes have communicated more than a typical person could express in several lifetimes. Her calmness held me together and as much as I was afraid that God wasn’t listening to me anymore I somehow summoned a quiet, desperate prayer for mercy. God, please have mercy on Grace. The next day at the breakfast table, Julia told me that she had written a new song… It was called Have Mercy. When she sang it to me, tears welled up in my eyes and I wondered if, perhaps there could be an ounce of hope left for my family and me in this life. Those small shimmers of light that managed to peak their way through small cracks in the darkness were the things that kept me going through those horrific times. The next night while again worrying in bed, a very loud message came to me it was angels will come. Slowly, I started to see more and more of those dancing light shafts poking through things and the first spatters of angelic intervention began to arrive at my doorstep. I started to realize the tremendous goodness of mankind and was intrigued to see that I now had a birds-eye view into humanity that most people do not ever have the privilege to witness. One day I said to myself maybe everything I am, everyone I know, every experience I have ever had has been preparing me for this! Maybe I was chosen by Grace for this challenge, after all she needed a mother!! Maybe she has a mission here and I am going to help her to carry it out!! Slowly I came to grips with these ideas and Grace’s teachings set my crooked path straight. Her first class was living in the moment, 101. This child never thinks about anything other than what is happening in the here and now. This is one of the most important lessons we can learn as human beings. I now live for today more than ever and don’t think too much about what tomorrow may or may not bring. I have also grown to love and respect individuals with special needs and realize the huge importance of their presence here on earth. They are incredibly strong, bring out intense joy in those around them, and are undeniably real. Grace and others like her are explicitly in touch with the most important aspects of life and are, in many ways, happier and better off than most of us!! They teach us all about compassion and bring a whole world of supportive professional people together that astounds me to this day. I am deeply appreciative of the teachers, therapists, administrators, caretakers, nurses and doctors who have walked this walk with me. Their sacrifice and commitment to these children is one of the most beautiful things I have ever witnessed in my life. Before this experience, I always felt I had an important purpose and was frustrated about being unable to find it. I tried several ventures, but nothing ever seemed right. 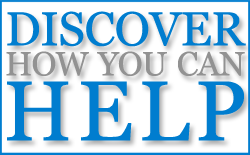 I now have a 501c3 non-for-profit organization called â€œGrace for a Cure, Inc. and hold fundraisers to generate funds towards a cure. I support The Children’s Medical Research Foundation, the MPS Society, and have recently become the Director of Public Relations for an organization called Team Sanfilippo. We are all parents on a mission to find a cure or treatment as fast as possible for our children. Facebook has helped us to connect and unite in our mission. I recently heard that we are in the process of applying for approval for a human clinical trial for a treatment for Sanfilippo Syndrome!! We need to raise one million dollars as soon as possible. Other parents before us have found treatments for their children with other forms of MPS we are hoping it is our now our turn for a breakthrough! In 2009, I was finding it difficult to focus on my corporate job at Xerox because of my dedication to this mission and other family obligations. Incredibly, while watching Grace working with her teachers every day in my home, I came up with an idea for a whole-child educational game called I Can Do It! with Grace. It is now being used in school districts to help children with their academics, self-esteem, and social responsibilities. I also use it to generate funds and awareness towards a cure for Sanfilippo Syndrome! It is my hope that this effective experiential learning experience which was inspired by Grace (with much help from Julia!) will help to create a better, healthier future for our nation’s children. It seems that through all of my conflict I have somehow found a way to support my family, work towards a cure or treatment for Grace, and meaningfully give back to society at the same time! Luckily, I started my life with a very full well that came from a loving and supportive family and this has sustained me throughout this challenge. I am aware now, more than ever that the physical, mental, and emotional health of the children in our country is extremely important. I am healing obsessed and believe that individuals must be given every opportunity to fill their precious wells and the younger we get on this, the better! We all know this is not always happening at home so schools and communities need to get involved!! Because of my experience, I have a very difficult time watching healthy children being wasted. Here is an excerpt from my website, www.gracecures.org. On an airplane, they tell you to put your own oxygen mask on first before your child. This is such an odd concept, because any parent wants to place the care of their child ahead of their own! When given the devastating news of Grace’s diagnosis, I learned quickly that I need to fight hard to take care of myself so I can be strong and yes, even happy – for the rest of my life. This way I could be the best possible parent for my children! I remember watching the movie “Lorenzo’s Oil” – the mother fell apart. I couldn’t stand that! In real life, she actually passed away before Lorenzo did! I have learned that stress must to be micro-managed and a spiritual view must be taken to rise to this type of extreme challenge. The mind, body, and spirit need to be nurtured and tended to regularly. My personal practice, which includes exercise, yoga, bodywork and mindfulness has brought great blessings into my life and with help and inspiration from my children, the “I Can Do It! with Grace” series of “Whole-Child Educational/Wellness Games were born as a result!! These games are now being used as home/school/community collaborative programs and are having a powerful, positive effect on thousands of children!! Grace is not the only one with a disease – unfortunately many of our children are getting sick and sadly, many will die before their time. Obesity, depression, suicide, and drug/alcohol abuse are all rampant in our schools today. These are things that can be avoided if we are proactive. Children must have the tools they need to own their daily self-care/self-love habits at a very young age and these efforts must be positively reinforced by their parents, teachers, peers, and communities. We’re talking a major team effort here! !Â (The games work as a tool, making the process fun and easy). This effort is well worth it because it provides them with a solid foundation that can help to influence their decisions as they grow. When something needs to be fixed, behavioral change is the best way to go about it. There is certainly no magic pill. It is my hope that the lessons I have learned from Grace’s special life will help to inspire healing in other children’s lives. I may or may not be able to save my child… but it is my hope that I can make some “ripples” towards helping others to save theirs. So needless to say, I have been Graced. I have a precious and very special life and I am very thankful for it. We are all here temporarily, and sadly we are all going to lose each other at some point. None of us knows exactly what the future holds and there are certainly no guarantees. I have been given the gift of intense realization of this fact so I appreciate special moments more than most people do. Grace is doing well for now, and lives each day with joy and peace. I remember back in the worst days, I said to myself; If there is just ONE person handling this OK, I can survive. I want to be that person for others. Even if I achieve that and nothing else, I feel I have won this battle. But I am still hoping for a heck of a lot more than that!! !